Most of us dispose of sewer waste using the same Roman methods developed a thousand years ago. The idea is to remove waste from a higher location to a place at a lower location through a pipe, with the force of gravity doing the actual removal. This is why they are referred to as “gravity sewer” lines. Gravity sewer will travel from individual homes to the wastewater treatment plant. 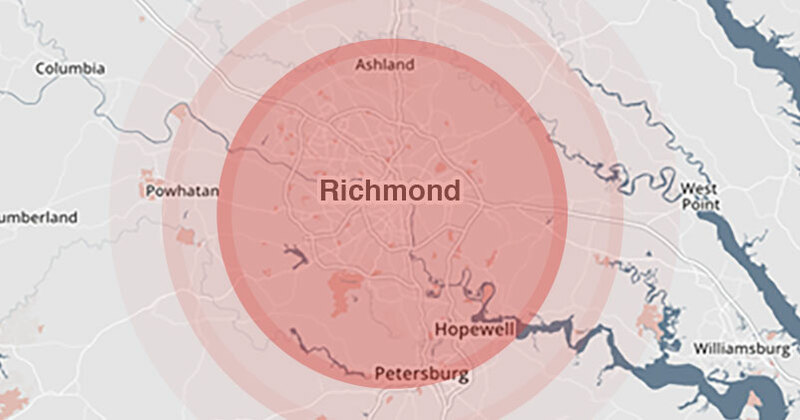 At the home, a sewer line will be either 4” or 6” in diameter and increase in size to a few feet in diameter, each increase being required by a larger amount of “flow” or sewage. Sewer pipe material has varied over time. The Romans used stone and wood. Over the past century, materials have included cast iron, brick, terra cotta, greenberg, and asbestos. Modern sewer systems consist primarily of ductile iron, polyvinyl choloride (PVC), and high density polyethylene ( HDPE) materials. Maintenance becomes an issue after hundreds of years of sewer service. Pipes must be inspected, replaced, and maintained in order to keep things flowing smoothly. On a private property, “cleanouts” or sight-inspection ports are used to provide access, yet only on a very limited scale. These methods only provide a 4”-6” access to the sewer line, enough for a sewer machine, CCTV probe, or jetter. For larger commercial sewer lines or sewer lines belonging to a municipality, maintenance access is provided by manholes, usually spaced every 300’-400’ apart. A manhole is a shored hole of at least 48” in diameter which allows for a person to lower him or herself down to the pipe elevation. The bottom of the manhole contains troughs or “inverts” which guide the sewage flow through the manhole unimpeded. Manholes are made of stone, brick , or concrete. Term Contracts: Tailor your underground utility maintenance by time period. We’ve successfully executed annual and multi-year contracts for customers ranging from a single residential site to dozens of franchise locations for a multi-national publically traded company. Scope Contracts: Underground utilities can comprise of a myriad of single purposes. Floor drains, sink drains, condensate lines, roof leader drains – just to name the drains! Contact us to propose a custom maintenace contract scope which works for you! Raven Epoxy applied to sluice gate channels at a wastewater treatment plant. Raven Epoxy offers versatile and proven wastewater coatings for restoration of deteriorated wastewater infrastructure and protection from the aggressive environment. 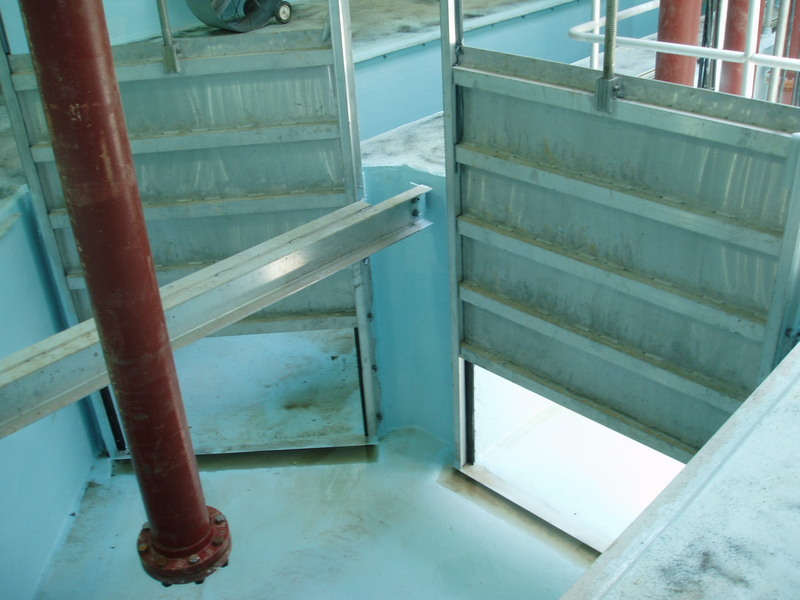 Raven coatings can be applied in wastewater collection systems and treatment plants. Raven 405 is a solvent-free 100% solids, ultra high build epoxy coating formulated with exceptionally high physical strengths and broad range of chemical resistance. Raven 405 exhibits superior bond to concrete, steel, masonry, fiberglass and other surfaces. Designed for operating temperatures up to 200 degreese F, 405’s unique ultra high-build abilyt allows it to be spray applied on vertical and overhead surfaces. The surface tolerance and high physical strengths of 405 allow it to be designed as a structural lining in manholes, pipelines, tanks and other deteriorated structures. Raven is typically used on surfaces where rehabilitation of an existing structure requires enhancement of the structural integrity and where exposure to concentrated acids and caustics may be expected, including: tunnels and pipelines, clarifiers, digesters, tanks, secondary containment, manholes, wastewater facilities and floors and walls. Originally developed in the late 1970’s, A-6 epoxy coatings are the most widely specified 100% solids, zero VOC epoxy for potable water structures. A-6 is available in its original and thick version to seal all types of profiles from steel to rough concrete. Producing a well-adhered slick, dense surface, A-6 minimizes slime growth and bacteria build-up on protected substrates. AquataPoxy A-6 and A-6 Thick are solvent-free, 100% solids, corrosion resistant epoxy coatins that can be applied to dry or damp surfaces. Formulated for broad range corrosion protection as well as certified safe for potable water and incidental food contact. Typical uses is any surface where corrosion and water resistance it needed, including: potable water structures, water mains, distribution and transmission lines, tanks, reservoirs and basins, secondary containment, and general maintenance. Quadex Aluminaliner is a factory blended, one component, fiber reinforced, fused calcium aluminate cement mortar, enhanced with a monocrystalline quartz aggregate (Granusil). This mortar is specifically designed to provide ultimate protection against hydrogen sulfide gas induced corrosion, add structural integrity and stop the infiltration of groundwater in sewer structures. This unique formulation allows for a monolithic one-pass application up to three inches in thickness by low pressure spraying. Quadex Aluminaliner is recommended for vertical and overhead repairs to concrete or masonry sewer structures such as manholes, wet-wells, pipe and treatment plant structures where corrosion is a problem. Some of the features and benefits of Quadex are quality controlled one-component blend for uniform results; high early and ultimate compressive, flexural and bond strengths; resistance to sulfide attack; extremely low permeability and excellent freeze/thaw and abrasion resistance. Quadex Quad-Plug is a blend of special cements and admixtures which are designed to instantly stop running water or seepage in all types of concrete and masonry structures. Quad-Plug is recommended for sewer pipes and manholes, concrete tanks, elevator pits, cisterns, basements, and concrete and masonry walls. Quad-Plug stops running water immediately, is non-shrink and expands as it sets, contains no calcium chloride, is non-metallic and sulfate resistant. Quadex Hyperform is a one component, rapid-setting, high early strength patching material designed for repairing vertical and horizontal concrete and masonry structures. It is recommended for filling large voids in manhole walls, reconstructing inverts, catch basin and concrete and pipe repair. It is rapid-setting, has high early and ultimate strengths, is non-shrinking, has no calcium chloride, and has excellent resistance to freeze-thaw.